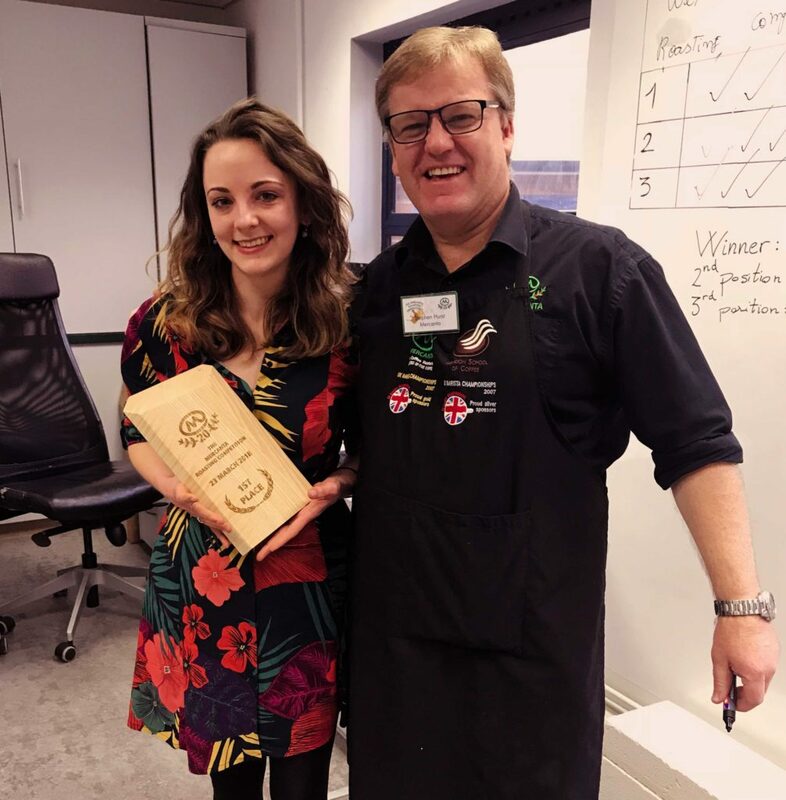 The 2018 Mercanta Roasting Competition Winner ANNOUNCED!!! Congratulations to the winner: Beth Williams from Colonna Coffee! 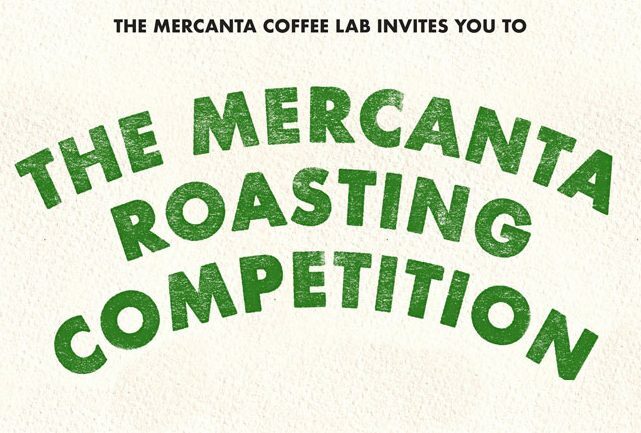 The first Mercanta Roasting Competition final took place on Friday, 23rd of March. 21 roasters from 7 nations entered. Each paid £200 for the entry and received a 30kg carton of a top Colombian coffee for their entry fee. They then submitted 1 kg of roasted coffee to Mercanta’s lab by the end of day, 22nd of March. It really was down to the wire. We received our very last roasted 1 kilo package on deadline day (the day prior to the final) at 4:30 pm, a scarce 30 minutes before the deadline. The following day, very pleasingly, 15 out of 21 roaster entrants were able to send a representative to the final judging at our Mercanta UK offices, which gave us 20 judges for the event – 4 Mercanta, 15 clients and sponsor Ikawa. The judging was simple: 3 tables, 7 competition coffees on each. A simple voting system was used, with each judge ‘voting’ for one coffee per table via secret ballot. In the case of a tie (which happened on the first and third tables, speaking to the very high quality of roasting ability in the room) a simple, transparent tiebreaker system was used. The final table was only 3 coffees – the winner of each previous table as the finalists. The Mercanta lab team knew the codings but kept them entirely under wraps, and while the lab team participated, they did not score. This was a VERY tough competition, but in then end Beth came out a clear winner on both of the tables where Colonna’s sample appeared. Beth will be joining us in Antioquia for Jantioquia 2019 as her just rewards. Second place went deservedly to Dark Woods Coffee (who win an Ikawa Sample Roaster) and third place to Tangermünder Kaffeerösterei (who win two cartons of the competition coffee). We are very pleased with the results and hope that they are too. Another clear winner was the coffee. This Herlindo Sepulvera lot from Urrao, Colombia, was excellent to exceptional. This coffee was cupped 144 times throughout the competition by 20 judges from 7 different nations with nothing but top results. Only Cup of Excellence gets a more thorough going over. We are not only proud of our relationship with Pergamino Coffee Exporters, who helped us source this coffee but are also very proud to begin a relationship with Herelindo in the future. We will award him a prize of $1,000 during our 2019 Jantioquia visit as a thank you. We look forward to hosting our next Roasting Competition and to continue highlighting the exceptional microlots that we are able to source with the support of our partners at origin. Please continue to watch this space for news and announcements for 2019’s Competition! Curious about the rules? Check them out here. Also check out our Instagram feed for highlights from the day. Thank you to our friends at Ikawa and Pergamino Coffee Exporters for making this event possible.